An IDE splitter which connects to the internal IDE port of the A1200 and A600. 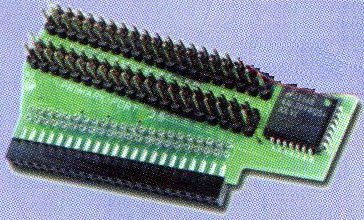 It provides 2 x 3.5" buffered IDE headers for attaching up to 4 drives. It was usually supplied with the AllegroCDFS.